Purchase a digital copy of the documentary. An original documentary film produced by WVIA Public Media and Bucknell University. 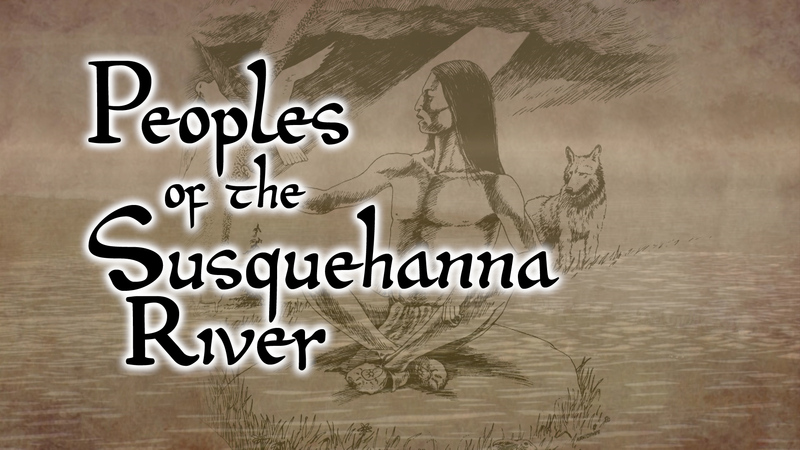 The one-hour program examines the history, cultures and traditions of the Native Americans of the Susquehanna River watershed. Prehistoric tribes, whose existence over 1,000 years ago can still be discovered up and down the river from New York State to the west branch to the Chesapeake Bay. We also get to know the later tribes of the Eastern Woodlands, the Susquehannocks, the Lenni Lenape and the Six Nations of the Iroquois Confederacy. Their influence on arriving European settlers in the seventeenth and eighteenth centuries was significant. But the inevitable clash of cultures, as well as the European's need the possess this land they'd discovered, drove these indigenous peoples off of the lands of their ancestors. Their contributions to the American society we know today are largely forgotten....unless you know where to look. Leaders, artists, teachers and citizens of the Lenni Lenape and Iroquois Confederacy share with us their traditions and their philosophies. Their stories paint pictures of a people whose stewardship of the environment has only grown more crucial in today's industrial world. These peoples are still here, their culture still vibrant. And with some help from environmental groups, educators and students, they continue to preserve and protect mother earth for the next seven generations.